The Ocean Cleanup which is a Dutch foundation working on advanced technologies to get rid off the plastic from oceans, intends to put it’s first prototype in the sea for testing. The prototype which is the first ocean cleanup system ever tested will be installed in the North Sea, 23 km (12 NM) off the Dutch coast, where it will remain for one year. 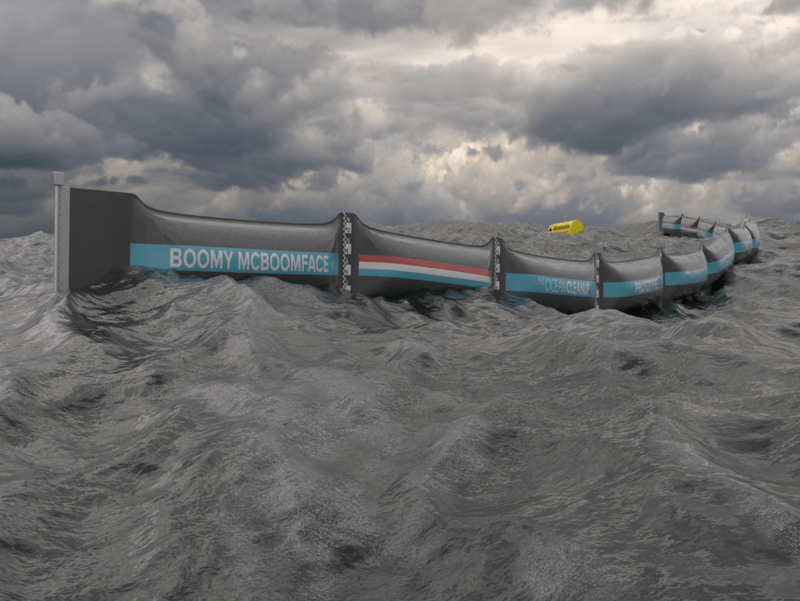 The Ocean cleanup prototype which is a 100 meter-long barrier segment will be deployed in the North Sea to help validate the survivability of the system. Sensors in it will track every motion of the prototype and the loads it is subjected to in extreme weather at sea. The data gathered will enable engineers to develop a system fully resistant to severe conditions during the cleanup of the Great Pacific Garbage Patch. At the North Sea test site, conditions during a minor storm are said to be more severe than those in heavy storms in the Pacific Ocean. The long floating barriers act as an artificial coastline, passively catching and concentrating ocean debris and is powered by the ocean’s natural currents. Some researchers however warn that a massive barrier like this could mess with the distribution of animals in the region. Also this barrier only helps in collecting surface garbage and not the ones lying deep down the oceans.